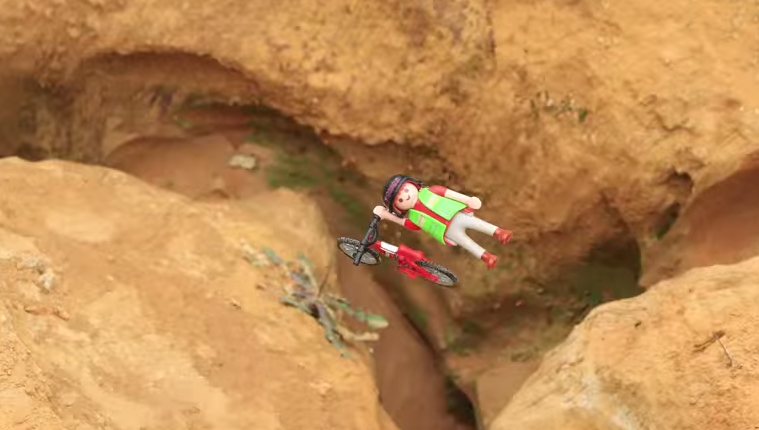 This is possibly the best mountain bike video you'll see this year! Well, it's at least the most original. Karim Rejab makes amazing stop-motion videos using Playmobil figures and a fecund imagination. The surfing ones are fantastic, with tow-in jet skis, film crews, Coast Guard boats and all!